Description: This 1 1/2 inch diameter tin has a 5-7 dated label and also had DOT code from a Cummings cryptograph machine (first used in 1908). Top label remains in very good condition. 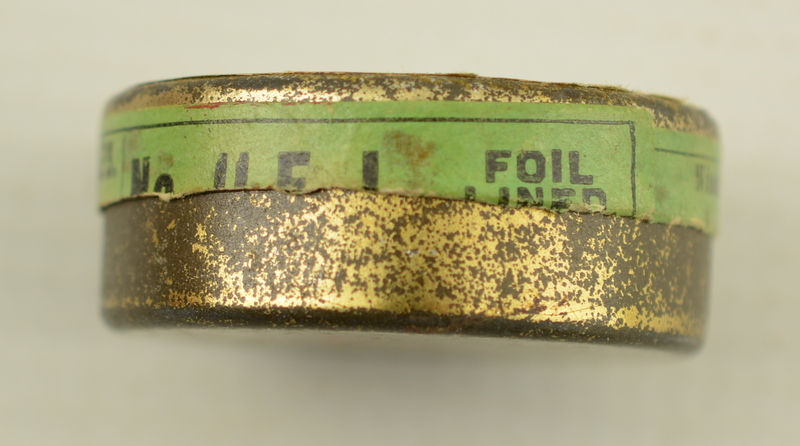 Side label has a 1-13 date visible, the bottom half is missing. 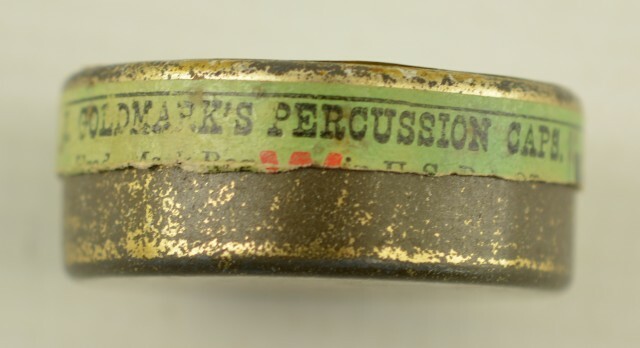 Both top and sealing labels have a J. Goldmarks's percussion caps callout. 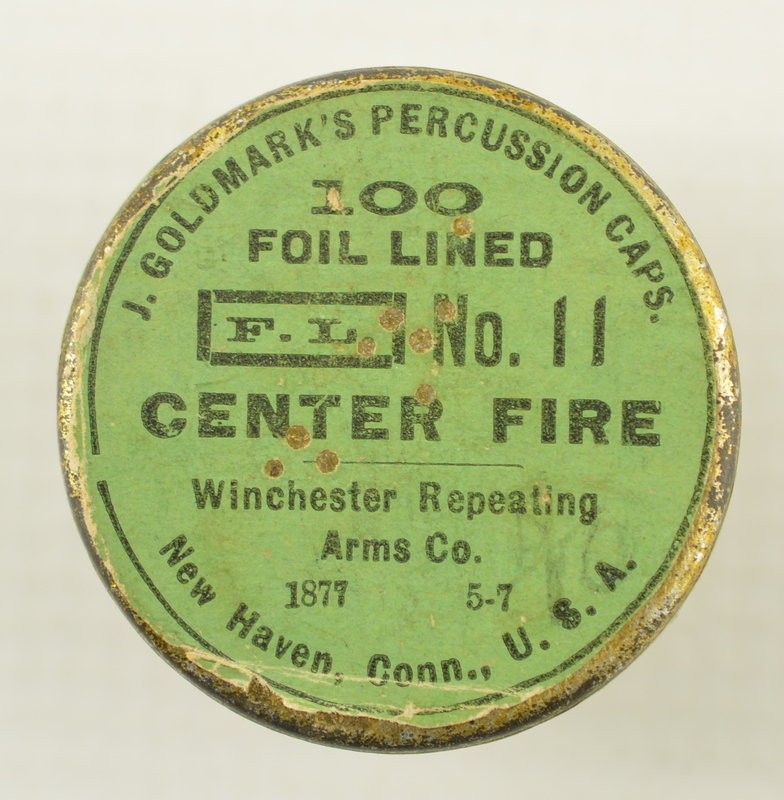 Tin is almost full of foil lined copper percussion caps with ribbed sides.